John Gosden has indicated all-conquering mare will make her return in the Epsom feature. Magnificent mare Enable stars among 26 entries for the £425,000 Investec Coronation Cup at Epsom on May 31. The daughter of Nathaniel has been successful on 10 of her 11 starts, with seven of her successes coming at Group One level. Three of her victories have been achieved in QIPCO British Champions Series races – including a stunning course and distance success in the 2017 Investec Oaks, when she came home five lengths in front in a record time. 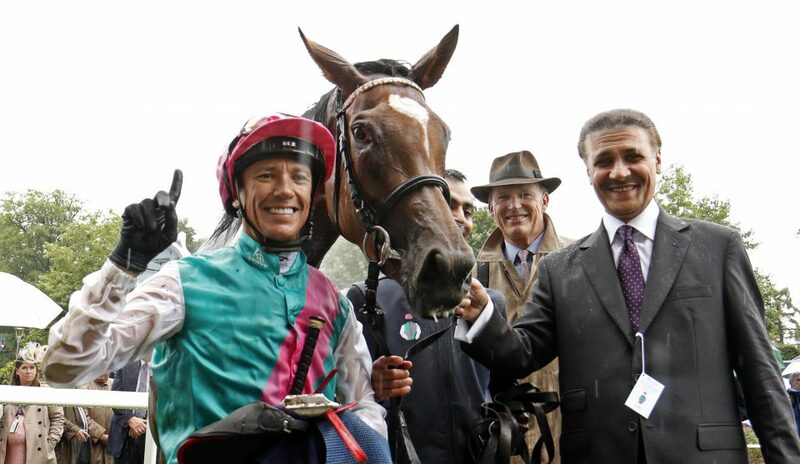 Her Newmarket-based trainer John Gosden, who said last month the Coronation Cup was a likely starting point for Enable, landed the Investec Coronation Cup last year with Cracksman, who was announced as the world’s best racehorse in the Longines World’s Best Racehorse rankings for 2018. The start of Champions Series 2019 is nearly upon us! In addition to Enable, Gosden has also entered last year’s champion stayer Stradivarius, Wissahickon, Coronet and Lah Ti Dar. The seven Ballydoyle entries in 2019 include the last two winners of the St Leger – Capri and Kew Gardens, plus the filly Magical (7/1), who landed the Group One QIPCO British Champions Fillies & Mares Stakes at Ascot on British Champions day at Ascot last season. Mark Johnston has entered Investec Derby runner-up Dee Ex Bee and the lightly-raced Mildenberger, who has not raced since finishing second to Roaring Lion in the Dante Stakes at York in May, having had Kew Gardens in behind when winning the Listed Feilden Stakes at Newmarket the previous month. Johnston said: “The Coronation Cup is a race Mildenberger could hopefully run in. We will look to run him somewhere else beforehand, but those big 12-furlong races are the target. “He hasn’t been seen since finishing second in the Dante at York, but he fractured his knee at that point. We have been happy with him over the winter and he is an exciting horse for the year ahead. Entries: Enable; Kew Gardens; Lah Ti Dar; Coronet, Waldgeist; Magical; Young Rascal; Morando; Latrobe; Capri; Dee Ex Bee; Defoe; Red Verdon; Wissahickon; Stradivarius; Salouen; Mildenberger; Southern France; Flag of Honour; Laraaib; Cimeara; Cypress Creek; Folamour; Hunting Horn; Marmelo; Communique.